June 2017: Jacques Montplaisir became an officer of the Ordre national du Québec. This is the highest distinction awarded by the Québec government, which underlines the merit of a great clinical researcher who has participated exceptionally in the development of Québec through the quality and excellence of his work. May 2017: During the Research Day of the CIUSSS-du-Nord-de-l’Île-de-Montréal, many students were awarded presentation prizes: Shady Rahayel (group Gagnon), Daphné Génier-Marchand (group Gagnon), Pierre-Alexandre Bourgouin (group Gagnon), Catherine Duclos (groups Gosselin & Dumont), Andrée-Ann Baril (group Gosselin), Claudia Picard-Deland (group Nielsen), and Marianne Jodoin (group De Beaumont). May 2017: Gilles Lavigne was nominated as the interim research director of the CIUSSS-du-Nord-de-l’Île-de-Montréal. May 2017: During the last CIHR and FRQ-S competitions, Nadia Gosselin, Louis de Beaumont and Karine Marcotte won career salary awards. In addition, Nadia Gosselin and Louis de Beaumont were awarded a grant from the research consortium in traumatology. Andrée-Ann Baril (student under the supervision of Dr. Nadia Gosselin) is the recipient of the Canadian Sleep and Circadian Network (CSCN) Outstanding Science Award at the doctoral level. Soufiane Boucetta (student under the supervision of Dr. Jacques Montplaisir) is a recipient of the Canadian Sleep and Circadian Network (CSCN) Outstanding Science Award at the postdoctoral level. Emma O'Callaghan (postdoctoral student under the supervision of Dr. Valérie Mongrain) and Jonathan Dubé (PhD student under the supervision of Dr. Julie Carrier) each received a Multi-site Mentoring Program Award from the Canadian Sleep and Circadian Network (CSCN) to further their training in another sleep lab in Canada. Février 2017 : In honor of Christiane Manzini, donations have been raised for research students of the CIUSSS-du-Nord-de-l'Île-de-Montréal. These donations are intended to reward students whose thesis has a significant clinical impact on the quality of patient care. The first Christiane-Manzini Prize for Clinical Impact in Research is awarded to Catherine Duclos (groups Gosselin & Dumont). May 2016: The Université de Montréal website published a article on Dr Antonio Zadra's research on nightmares in teenager. May 2016: During the Annual Research Day of the Hôpital du Sacré-Coeur de Montréal, Pauline Brayet (group Montplaisir), Emma O'Callaghan (group Mongrain), Catherine Duclos (group Gosselin) and Andrée-Ann Baril (group Gosselin) were awarded presentation prizes. May 2016: Jessica Rodrigues-Brazète (group Gagnon) won a publication prize from the Research Center of the Hôpital du Sacré-Coeur de Montréal for her article "Electroencephalogram slowing predicts neurodegeneration in rapid eye movement sleep behavior disorder". April 2016: Students from the CARSM received a bourse de rayonnement during the Spring-Summer 2016 competition: Elisaveta Solomonova (group Nielsen), Maude Bouchard (group Carrier), Christophe Moderie (group Dumont) and Pierre-Alexandre Bourgouin (group Gagnon). April 2016: Congratulation to Dr Dominique Petit who is awarded the Prix d'Excellence des Professionnels de Recherche du FRQS. 2014 to 2016: Since the creation of the bourses de rayonnement of the CR-HSCM in early 2014, several students from the CARSM won an award to participate to international meetings: Andrée-Ann Baril (group Gosselin-Gagnon), Maude Bouchard (group Carrier), Pauline Brayet (group Montplaisir), Michelle Carr (group Nielsen), Émilie Chan-Thim (group Dumont), Jonathan Dubé (group Carrier), Catherine Duclos (group Gosselin-Dumont), Marlène Freyburger (group Mongrain), Marc-André Gareau (group Desautels-Gosselin), Shady Rahayel (group Gagnon-Montplaisir), Thaïna Rosinvil (group Carrier), Elisaveta Solomonova (group Nielsen). January 2016: Erlan Sanchez-Gonzalez (group Gosselin) is awarded the second prize for best multimedia presentation by Novartis Canada during the COPSE congress of the Faculty of Medicine of the Université de Montréal. July 2015: For their volume 47 published in July 2015, a figure from an article of the Mongrain group appears on the cover of the journal Brain, Behavior, and Immnunity. June 2015: During the Neurotrauma Research Day of the Hôpital du Sacré-Coeur, Héjar El-Khatib (group Gosselin) and Caroline Arbour (group Gosselin) are awarded prizes for their presentation. May 2015: The journal Le Médecin du Québec awards the prize for the Number of the year to Dr. Alex Desautels for his number on sleep disorders, for which several CARSM members have participated: Dr. Daniel Filipini, Dr. Jacques Montplaisir, Dr. Dominique Petit and Dr. Antonio Zadra. May 2015: Like last year, Dr. Nadia Gosselin organizes the CARSM run for which 24 runners have participated and more than $ 2 300 were raised. Daphné Génier Marchand (group Gagnon), Andrée-Ann Baril (group Gosselin), Benjamin Gaudet-Fex (group Carrier) et Marie-Lou Filiatrault (group Lavigne). In addition, Véronique Latreille (group Gagnon) is awarded a presentation prize and Pauline Brayet (group Montplaisir) received the $ 1 000 prize from the FRQ-S for the best presentation during the Annual Research Day of the Hôpital du Sacré-Coeur. • Dr. Valérie Mongrain and Dr. Johannes Frasnelli receive a chercheur-boursier award from the FRQ-S.
Nielsen), Marc-André D Gareau (group Desautels) and Benjamin Gaudet-Fex (group Carrier). and Andrée-Ann Baril (group Gosselin). April 2015: Dr. Valérie Mongrain is awarded a research grant from the Natural Sciences and Engineering Research Council of Canada (NSERC) to fund her research for 5 years. In addition, Jonathan Dubé is awarded the Alexander Graham-Bell scholarship from the NSERC at the doctorate level. Since Februrary 2013, the CEAMS-CARSM blog provides up-to-date reports on the discoveries by researchers and students in the CARSM including access to original, hot-off-the-press journal publications and media reports on the center’s activities and impact on society. The blog also posts reports by other renowned scientists on some of the most important current issues in basic sleep research and sleep medicine. 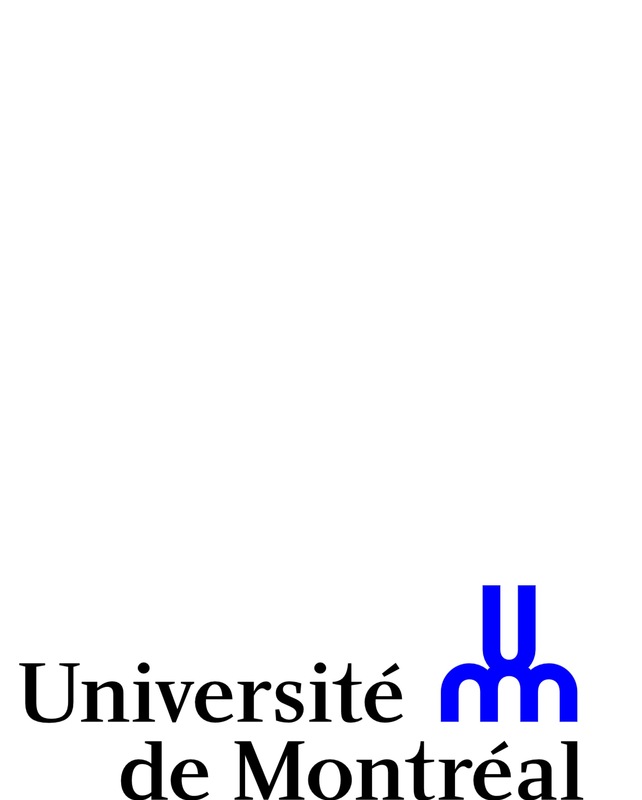 December 2014: Dr. Johannes Frasnelli was granted a Research Professorship in Chimiosensorial Neuroanatomy from the Université du Québec à Trois-Rivières. July 2014: The RC-HSCM and CARSM welcome Dr. Simon Warby after he won a FRQ-S chercheur-boursier award and a functioning grant from the CIHR. May 2014: During the Annual Research Day of the RC-HSCM, Katia Gagnon (group Gosselin) received the J.A. DeSève doctorate award from the Fondation de l’Hôpital du Sacré-Cœur. Marlène Freyburger (group Mongrain) is awarded the prize for the best oral presentation in the CARSM students and Andrée-Ann Baril (group Gosselin) wins the prize for the best poster presentation in the CARSM students. These two prizes were raised during the Demi-marathon des Érables organized by Dr Nadia Gosselin in collaboration with the Fondation de l’Hôpital du Sacré-Cœur. In addition, Katia Gagnon (group Gosselin), Catherine Duclos (group Gosselin), Marie-Ève Bourassa (group De Beaumont), Véronique Latreille (group Gagnon) and Daphné Génier Marchand (group Gagnon) are awarded a oral or poster presentation prize. April 2014 : Dr. Nadia Gosselin organizes a running event and an associated fundraising for the creation of two presentation prizes for the students of the CARSM during the Annual Research Day in collaboration with the Fondation de l’Hôpital du Sacré-Cœur. This year, $800 were raised and several people from the CARSM participated and run 5km, 10km or 21km at the Demi-marathon des Érables: Nadia Gosselin, Julie Carrier, Katia Gagnon, Catherine Duclos, Caroline Arbour, Caroline d’Aragon, Hélène Blais, Véronique Latreille, Andrée-Ann Baril and Maxime Fortin. Another running event will be organized in 2015 to raise funds for other prizes. Catherine Duclos (group Gosselin) received a CIHR doctorate award. March 2014: Dr. Tore Nielsen organizes with the help of his post doctoral fellow Christian O’Reilly and his research coordinator Tyna Paquette a worshop on the analysis of physiological signals. This workshop, for members of the neurophysiological axis of the RC-HSCM, was a great success. January 2014: We welcome Dr. Johannes Frasnelli, researcher in emergence at the RC-HSCM, who joins the CARSM. October 2013: Dr. Marie Dumont replaces Dr. Julie Carrier at the scientific direction of the CARSM. Dr. Marie Dumont is named director of the neurophysiology axis of the Hôpital du Sacré-Coeur Research Center (RC-HSCM) and Dr. Valérie Mongrain is named adjoint director. October 2013: The association Médecins Francophones du Canada awarded Dr. Jacques Montplaisir with the prize of scientific work of 2013 for his prolific research career. May 2013: During the Annual Research Day, Marlène Freyburger (group Mongrain) receives the J.A. DeSève doctoral award from the Foundation of the Hôpital du Sacré-Cœur. Geneviève Scavone (group Lanfranchi-Zadra) and Andrée-Ann Baril (group Gosselin-Gagnon) won a prize for their poster presentation. Andrée-Ann Baril (groupe Gosselin-Gagnon) wins a master's award (CIHR). October 2012: Janine El Helou (group Mongrain) wins the J.A. DeSève fellowship from the Foundation of the Hôpital du Sacré-Cœur de Montréal to complete her master's degree. September 2012: Geneviève Scavone (group Zadra-Lanfranchi) is awarded the CFUW 1989 École Polytechnique Commemorative Award of the Canadian Federation of University Women for the excellence of her research record and her communal involvement. June 2012: Dr. Jacques Montplaisir and Dr. Nadia Gosselin are awarded an operating grant from the Canadian Institutes of Health Research (CIHR) to finance their research on sleep apnea during 5 years. Pierre-Olivier Gaudreault and Katia Gagnon (group Gosselin) are each awarded a travel award for their poster presentation during the SLEEP 2012's congress in Boston. In addition, Katia Gagnon is awarded the prize for the best scientific abstract submitted to the Canadian Sleep Society. May 2012: Véronique Daneault (group Carrier-Dumont), Véronique Latreille (group Gagnon-Carrier), Pierre-Olivier Gaudreault (group Gosselin), Janine El Helou (group Mongrain), Andrée-Ann Baril (group Gosselin) and Geneviève Scavone (group Lanfranchi-Zadra) are all awarded a prize for their presentation during the Annual Research Day of the Hôpital du Sacré-Coeur de Montréal. March 2012: Dr. Thien Thanh Dang-Vu (group Montplaisir-Gagnon) receives the Excellence Award H. Catherine Sauerwein for the best oral presentation, and Véronique Daneault ( groupe Carrier-Dumont) obtains the Université du Québec à Montréal Award for the best poster presentation during the scientific day of the CERNEC. February 13, 2012: Inauguration of the CARSM in the presence of ministre Bolduc. February 13, 2012 : Death of Mrs. Danièle Éthier whom we want to thank deeply for her 18 years of loyal service. October 2011: Dr. Jacques Montplaisir receives the prestigious Lifetime contribution Award of the World Sleep Federation in Kyoto (Japan) for outstanding contributions as a scientist, teacher and leader in sleep research and sleep medicine. October 2011: Janine El Helou (group Mongrain) is awarded an excellence fellowship from the Psychiatry Department of the Université de Montréal for the completion of a Master's degree, and Pierre-Olivier Gaudreault (group Gosselin) wins the Psychiatry Department award (Université de Montréal) for his poster presented to the Annual Research Day of the department. September 2011: Isabelle Godin (group Nielsen) is awarded a three years doctoral fellowship Frederick Banting and Charles Best by the Canadian Institutes of Health Research (CIHR). August 2011: Silvia Raluca Netedu (group Mongrain) is awarded the first prize and Andrée-Ann Baril (group Gosselin) the third prize for their oral presentation to the Trainee day of the Research Center of the Hôpital du Sacré-Cœur. June 2011: Véronique Latreille (group Gagnon-Carrier) and Jessica Rodrigues (group Gagnon) are awarded the Pfizer prize for their poster presentation, Geneviève Scavone (group Lanfranchi-Zadra), Pierre-Olivier Gaudreault (group Gosselin) and Josie-Anne Bertrand (group Gagnon) are awarded a prize for their poster presentation and Véronique Daneault (group Carrier-Dumont) wins the J.A. DeSève doctoral fellowship from the Foundation of the Hôpital du Sacré-Cœur during the Annual Research Day of the hospital. June 2011: Dr. Nadia Gosselin and Dr. Tore Nielsen are each awarded an operating grant from the Canadian Institutes of Health Research (CIHR) to finance their research during 5 years. Geneviève Scavone (groups Lanfranchi-Zadra) is awarded a fellowship from the Fonds de la recherche en santé du Québec FRSQ) for the completion of a Master's degree. Elizaveta Solomonova (group Nielsen) is awarded a fellowship from the Social Sciences and Humanities Research Council of Canada (SSHRC) for the completion of a Doctoral degree. March 2011: Drs. Julie Carrier and Marie Dumont both receive a grant from the Natural Sciences and Engineering Research Council of Canada (NSERC) to finance their research during 5 years. January 2011: Dr. Valérie Mongrain is awarded an operating grant from the Canadian Institutes of Health Research (CIHR) to finance her research during 5 years. November 2010: Dr. Julie Carrier becomes the scientific director of the CARSM. She will be surrounded by a management team to be selected and by Dr. Jacques Montplaisir who will continue to serve as Director of the sleep clinic. November 2010: Dr. Gilles Lavigne and his team receive the price Premio Venezia prize from the Italian Chamber of Commerce of Canada in recognition of their distinguished collaboration with Università degli Studi di Parma in Italy. October 2010: Simon Chapdelaine-Trépanier (group Dumont) wins two fellowships: an excellence fellowship from the Psychiatry Department of the Université de Montréal and a fellowship from the J.A. DeSève foundation of the Hôpital du Sacré-Coeur de Montréal. October 2010: Pierre-Olivier Gaudreault (group Gosselin) wins the Psychiatry Department award (Université de Montréal) for his poster presented to the Research Day of the department.